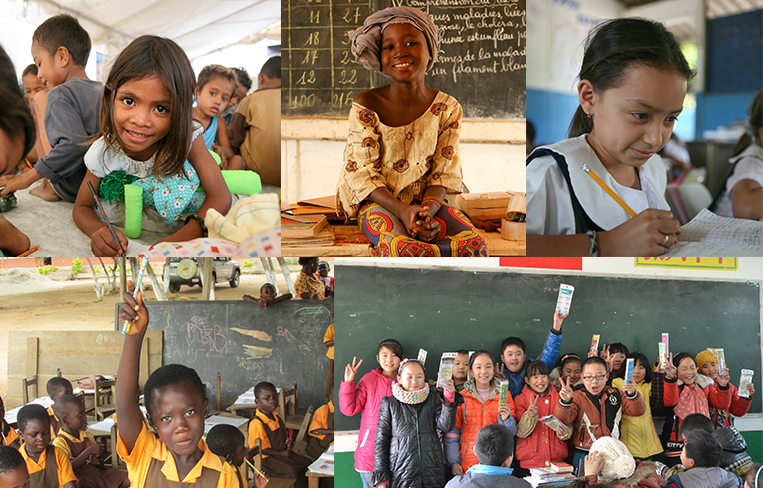 The second “Because I am a Girl (BIAAG) – Donate a Pencil Campaign” will be held from 7th to 16th October 2014, calling for donations of brand new pencils from the public, which will then be sent to underprivileged girls as a tangible support to their studies, while raising public awareness of girls’ rights. 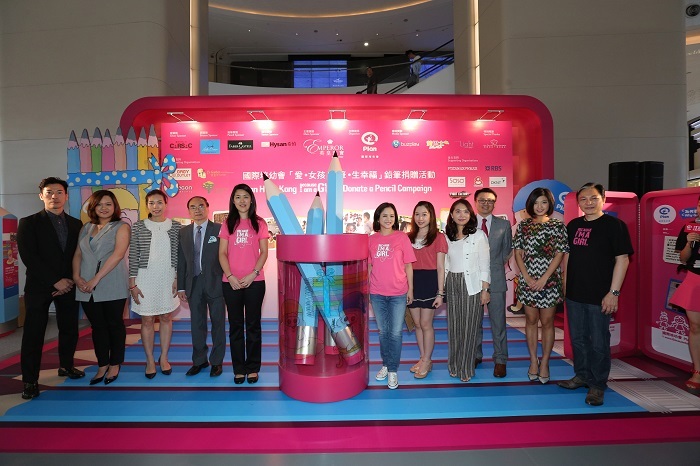 A huge pink collection box modelled after a pencil holder, featuring the popular Hong Kong cartoon figures Mcmug & Mcdull, has been set up on the Atrium, 1/F, Hysan Place, Causeway Bay. In response to the United Nations’ annual “International Day of the Girl Child”, Plan International Hong Kong commenced the event on 7th October in a Launch Ceremony supported by BIAAG Ambassador Mrs Christine Ma-Lau, Founder and Principal of JEMS Learning House, and Special Guest Ms Gloria Yip, Founder and Director of Hong Kong Clay Craft Academy. The ceremony began with a welcoming speech by Officiating Guest Dr Royce Yuen JP, Board Deputy Chairman of Plan International Hong Kong, who then presented certificates of gratitude together with Dr Darwin Chen, SBS, Board Member of Plan International Hong Kong to the supportive sponsors, including: Main Sponsor Emperor Watch & Jewellery, which marks its fifth year of consecutive sponsorship to BIAAG campaign; Venue Sponsor Hysan Development, which has provided the event venue for two consecutive years; Silver Sponsor CARSAC Limited; Bronze Sponsor Holly Brown Coffee; Media Sponsor Buspak; Pencil Sponsor Faber-Castell; and Fight Factory. The ceremony proceeded with a sharing section by BIAAG Ambassador Mrs Christine Ma-Lau and Special Guest Ms Gloria Yip, who encouraged the public to support the event. 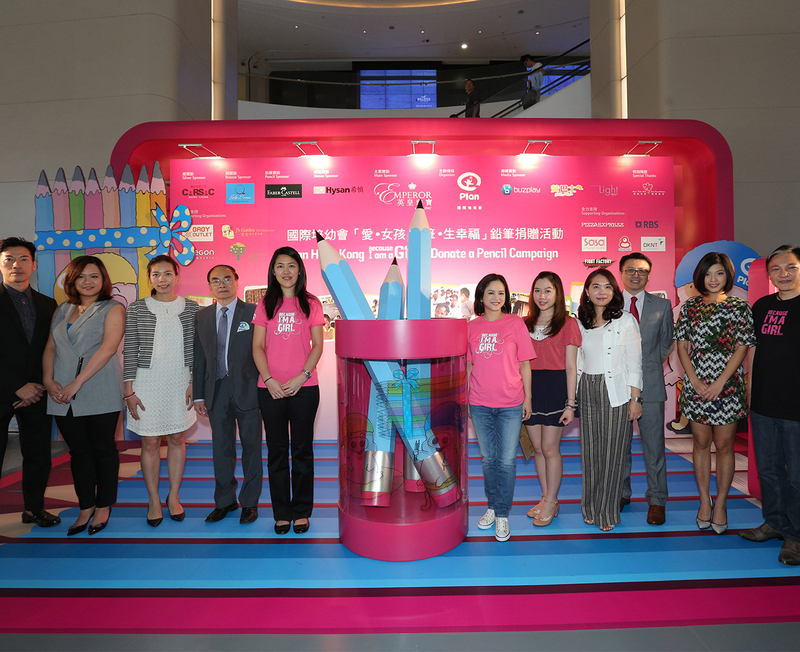 Finally the event was officially launched as Dr Yuen, Dr Chen, Mrs Ma-Lau and Ms Yip inserted the huge-sized pencils into the collection box, a simple yet symbolic gesture that commenced the event. The ceremony was followed by a guided tour for the press on the pink fundraising bus, which is equipped with multimedia in-bus donation function. 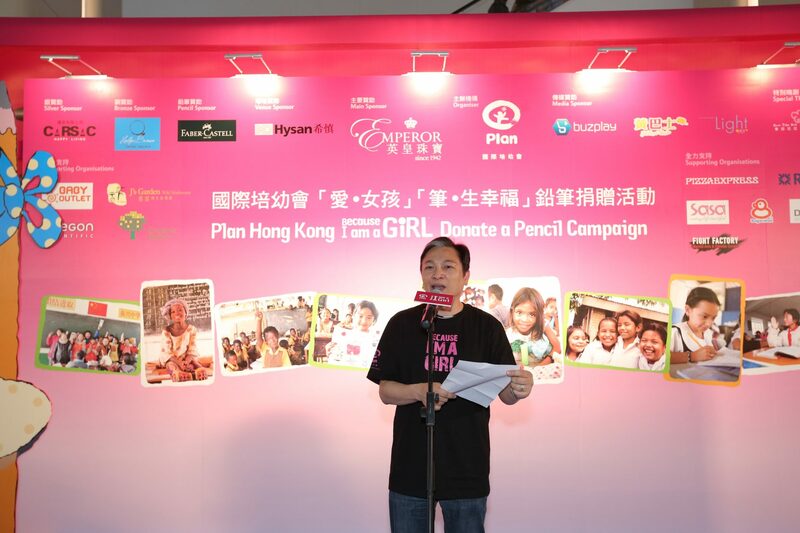 Raising funds for Plan’s “Girls Fund”, the bus will operate mainly along Hong Kong Island for four weeks until 3rd November. Donated pencils will be collected by Plan from 7th to 16th October, and then sent to underprivileged girls in China, Ghana, Nepal and Northern Thailand by this coming Christmas, as gifts imbued with a wish for a better future.